The Saracen Mantra Elite is a trail shredding hardtail mountain bike that gives you all the bike you’ll need to conquer the singletrack. The 6061 aluminium alloy frame features butted and hydroformed tubes which keep the weight down while maintaining strength. 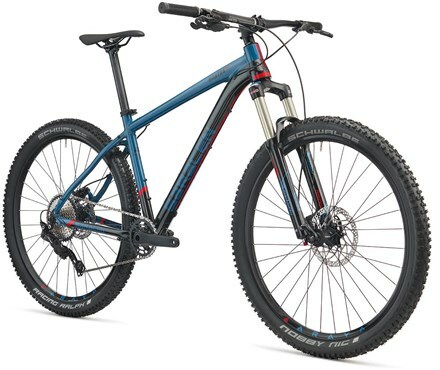 Designed for riding more technical trails than an XC bike, the Mantra features a long top tube, which combined with a short stem, wide bars and a longer travel fork, offers improved control on technical trails. The RockShox Recon Gold RL fork offers 120mm of plush suspension travel to tame the trail ahead. The Shimano SLX 1x11 speed drivetrain offers all the gears that you need to ride every trail on your loop. Being a ‘one by’ system gear shifting is easy and intuitive so you can focus on the ride without worrying about the drivetrain. Shimano Deore hydraulic disc brakes give you confident all-weather stopping power. 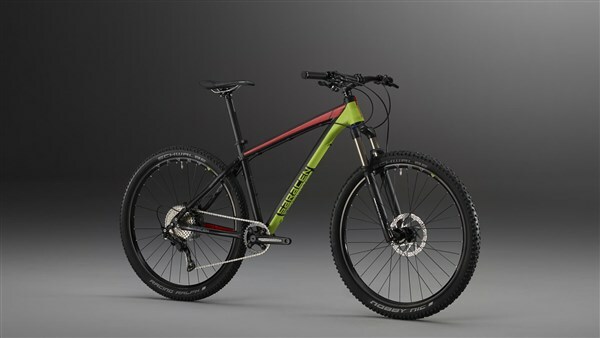 Get ready for your next trail adventure on the Saracen Mantra Elite. Rear Tyre: Schwalbe Racing Ralph performance 27.5 x 2.25"